If you’re anything like us, you plan your weekend around brunch. Here is your guide to all of our restaurants who offer brunch, from make-your-own bloody mary bars to nurse your hangover to stocked brunch buffets and more. Brunch tapas at Cafe Ba-Ba-Reeba! 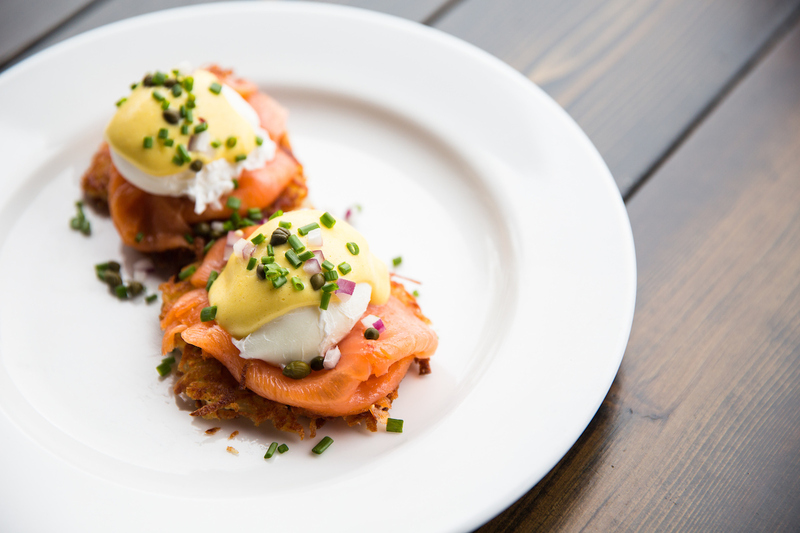 Beatrix is one of the buzziest brunch destinations in the city! 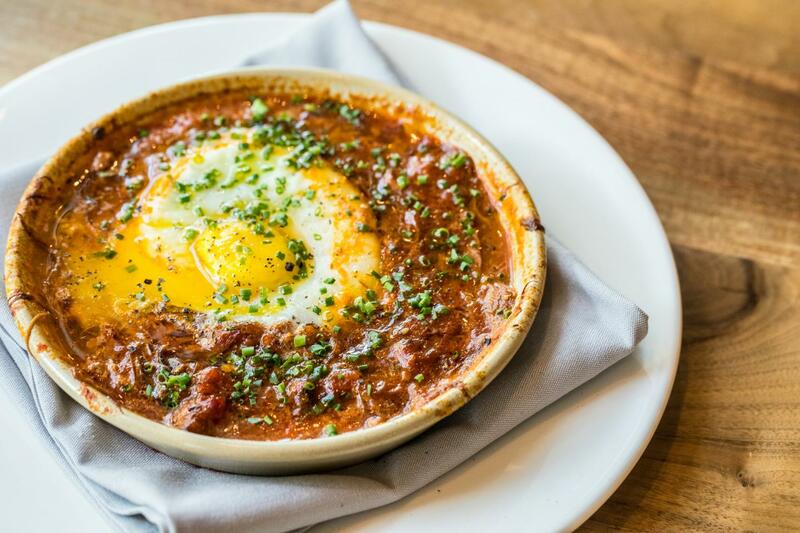 This neighborhood restaurant was named one of Chicago’s Best Brunches by Chicago Magazine in 2015 and features dishes such as Quinoa Cakes with Poached Eggs, Light & Fluffy Lemon Pancakes, and Braised Pot Roast & Egg Sandwich. While you enjoy, sip on a fresh-squeezed juice, a Boozy Banana Joe or a Nitro coffee to keep your day going. One piece of advice: don’t forget the Brown Sugar Bacon. Dive into Bub City’s classic Southern brunch every Saturday and Sunday from 10:00 AM to 3:00 PM. Choose from decadent brunch options like Fried Chicken & Waffles and Brisket Benedict, or tackle Bub City’s Brunch & Three. Be sure to wash it down with a variety of offerings from the Make-Your-Own Bloody Mary Bar! Dive into Bub City’s classic Southern brunch every Sunday from 10:00 AM to 2:00 PM. 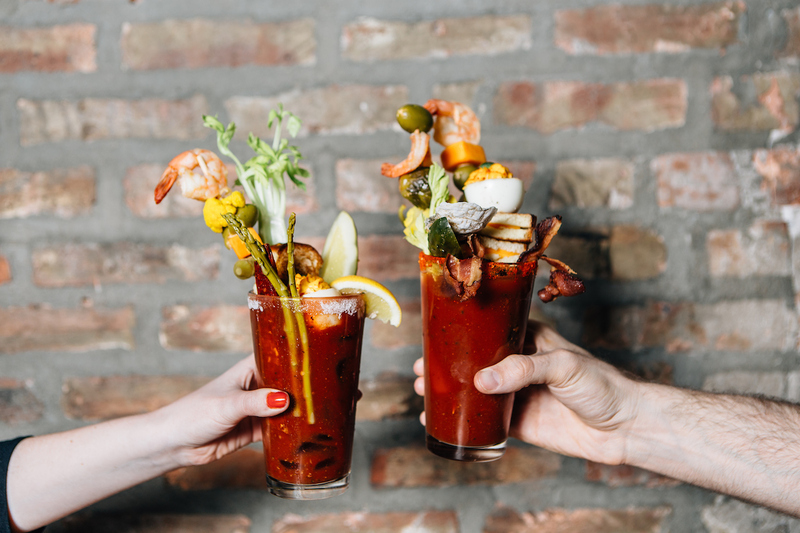 Choose from decadent brunch options like Fried Chicken & Waffles and Brisket Benedict, and wash it down with a variety of offerings from the Make-Your-Own Bloody Mary Bar! Want the perfect mix of sweet and savory for brunch? Brunch tapas let you indulge in both. 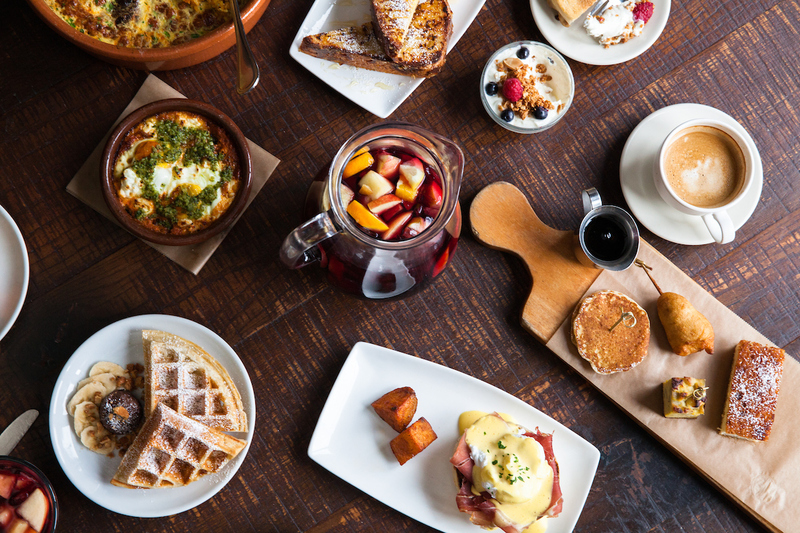 With pintxos such as Deviled Egg with Crispy Jamón Serrano, Short Stack of Pancakes and a Waffle-Battered Chicken Stick, as well as a variety of brunch tapas, egg dishes, omelets and waffles, all your breakfast favorites are on the menu. Plus, take a trip to our Build-Your-Own Bloody Mary Bar and add condiments, hot sauces and all the fixins’ you can imagine. Enjoy a Mediterranean-style brunch at Ema! Chef CJ Jacobson serves up favorites including Grapefruit Brulee, Lamb Shakshuka, Kefta & Eggs and Blueberry Clafoutis. Select spreads and mezze plates are also available in addition to Mediterranean riffs on brunch cocktails like the signature Bloody Mary and more. Stop into Hub 51 and enjoy the weekend brunch, which offers something for everyone. Choose from a bevy of options ranging from the Surfers’ Breakfast Burrito and Cinnamon Roll Pancakes to Pulled Chicken Nachos and a variety of salads and other “Not Breakfast” items. Unique brunch cocktails are aplenty: Spiked Coffee & Donuts with Four Roses Bourbon, cold-brew coffee and a Do-Rite donut or the Sparkling Razz with vodka, raspberry, mint and prosecco. Be sure to check out the new Hub 51 Bottomless Bellinis, too! Start your weekend right with a Mity Nice brunch! Indulge in some brunch favorites, like the Crispy Chicken & Waffles, Sweet Corn Cake Eggs Benedict and Avocado Toast and sip on our Mity Mary, Mango Mimosa or any of our other cocktails. French favorites like our Crème Brûlée French Toast with blueberries and chantilly cream, Chocolate Waffles, Bacon, Bacon, Brie Cheese & Butternut Squash Quiche and Omelette Lorraine make for a perfect Sunday brunch spread. Guests can mix and match sparkling cocktails for the table, or warm up with a generous of coffee. Looking for lunch? The “Not Breakfast” section of the menu is sure to satisfy, with options like classic Steak Frites and the Croque Madame Sandwich. Plus, Mon Ami Gabi’s special kids’ brunch menu makes the meal a bonafide family affair. French favorites like our Crème Brûlée French Toast with blueberries and chantilly cream, Waffles with Nutella, Duck Confit & Brussel Sprouts and Chicken & Mushroom Crêpe make for a perfect weekend brunch spread. Guests can mix and match sparkling cocktails for the table, or warm up with Gabi’s house blend coffee. Looking for lunch? The “Not Breakfast” section of the menu is sure to satisfy, with options like classic Steak Frites and the Croque Monsieur. Enjoy Chef David Digregorio’s mouthwatering buffet of brunch delights, including a made-to-order Ricotta Donut station, Artisan Cheeses, charcuterie and seasonal antipasti and rotating dishes such as Sourdough Waffles, Chicken Mario and a Slagel Farm Pork Belly Carving Station. The cost is $34.95 per person, plus tax (gratuity not included) including seasonal bottomless bellinis for guests 21 and over. Children aged twelve and under eat free. Enjoy the fluffiest Blueberry French Toast coated with a cereal crust and topped with a blueberry maple syrup and orange custard. Or, go the lighter route with brunch specialties like the Super Food Omelette, made with whipped egg whites, shaved cauliflower & broccoli, avocado, and ricotta, lunch sandwiches or seafood dishes. 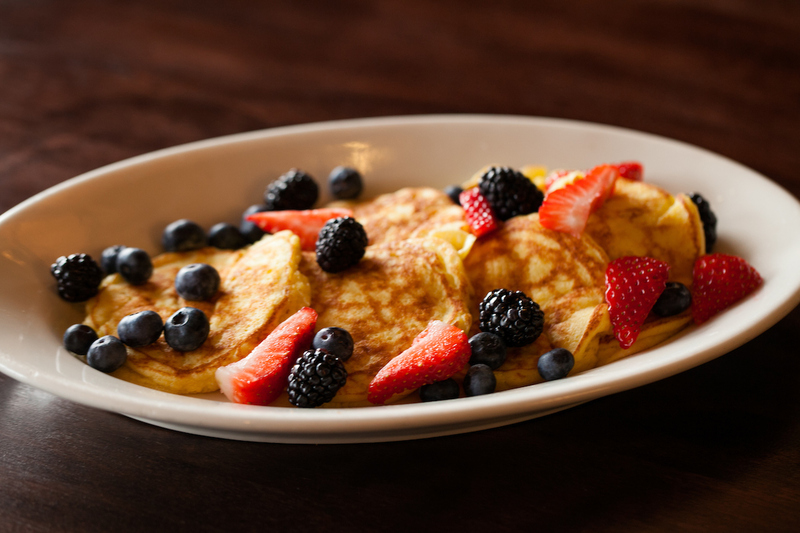 For matinee attendees in the Loop Theatre District, Petterino’s weekend brunch menu provides a compromise for guests in the mood for breakfast and their companions with a yearn for heartier dishes. Rotating weekly brunch specials like the Maryland Crab Eggs Benedict are accompanied by classics like Chicken Pot Pie. Lincoln Park institution, R.J. Grunts, serves up an “All-U-Can-Eat Weekend Brunch” every Saturday and Sunday, with items ranging from Pecan Bread Pudding French Toast and Mini Belgian Waffles to Grunts’ Thick-Cut Bacon, Scrambled Eggs, and Yogurt & Granola for just $16.95, plus tax (gratuity not included). As always, the world famous salad bar will be available (and included in the price!). Be sure to come hungry, and don’t forget to top off the meal with $5 Bloody Marys and Mimosas. Saranello’s Champagne Sunday Brunch Buffet is not for the faint of appetite. Enjoy the Omelette Station with more than 15 ingredient options, and a Carvery Station with hand-sliced New York Strip Steak and Honey Roasted Turkey, fresh seafood like House-smoked Whitefish and Citrus Cured Salmon. For those with a sweet tooth, Belgian Waffles and Challah French Toast will hit the spot plus an endless array of mini desserts. Champagne and Mimosas are included or sip on $5 bloody’s from the Build-Your-Own Bloody Mary Bar. The brunch is $34.95 per person, children under 12 are half price, plus tax (gratuity not included). 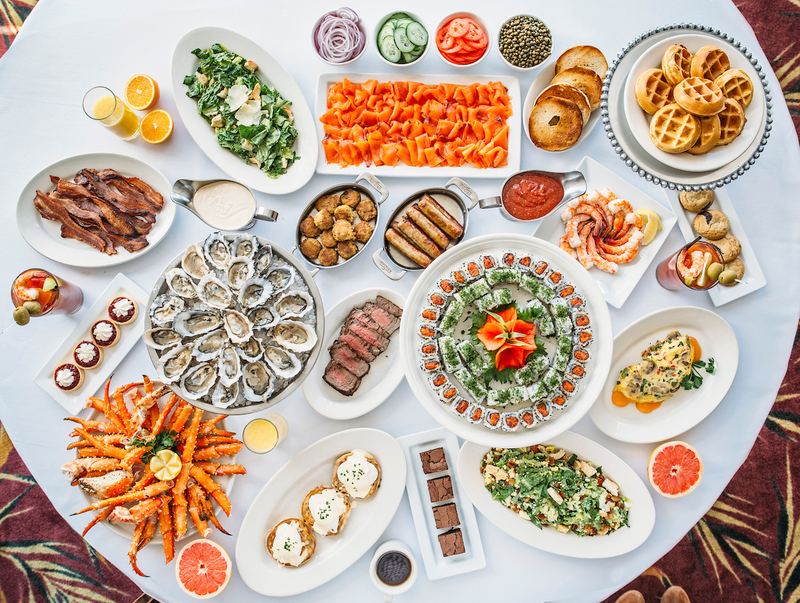 Shaw’s Crab House is known for their brunch buffet stocked with a selection of sweet and savory menu items including Steamed King Crab Legs and Roasted Beef Tenderloin, a build-your-own omelet and waffle station, a cold seafood bar and more. The Grand Buffet offers Maryland-style Crab Cakes and Lobster Mac & Cheese, and an enormous Sweets Tables. Brunch is priced at $65 for adults, $10 for kids ages 7-12, and kids 6 and under eat free, plus tax (gratuity not included). Suburban diners won’t want to miss the brunch buffet at Shaw’s, featuring a menu stocked full of brunch favorites and Shaw’s signatures. Start with our Signature Bloody Mary or Traditional Mimosa and then enjoy Baked Glazed Ham, King Crab Quiche, Lobster Bisque, cold seafood and salad dishes, and of course dessert. Brunch is priced at $65 for adults, $15 for kids ages 7-12 and kids 6 and under eat free, plus tax (gratuity not included). Enjoy our new brunch buffet on Saturdays and Sundays from 10:00 AM ’til 2:00 PM! 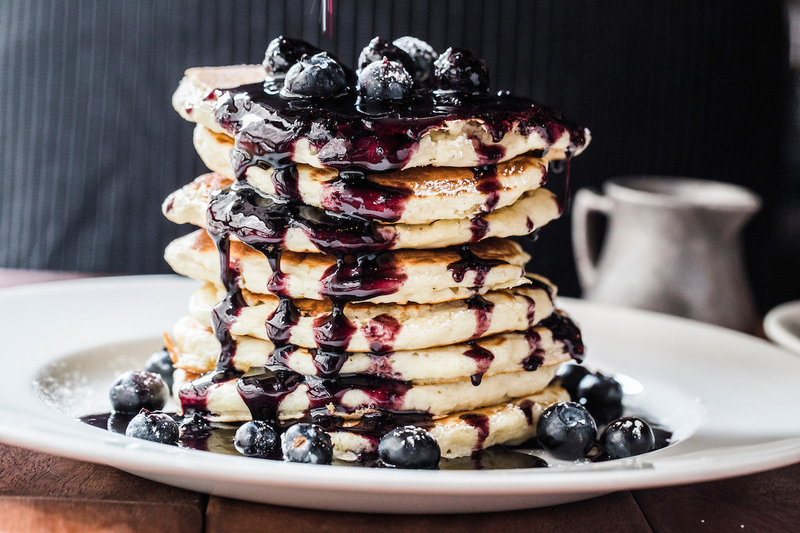 We’ll have Roasted Corn & Poblano Egg Enchiladas, Smokey Bacon Mac ‘n Cheese, Yogurt Parfaits with granola and fresh berries, plus confections like Cinnamon Roll Bread Pudding and Mini Pancakes or Biscuits & Gravy – all unlimited for just $22.95, plus tax (gratuity not included). We’re not stopping there: Get one of the best brunch deals in the city with $5 Bloody Marys, Bellinis and Mimosas. Bring the whole family, as kids 10 and under enjoy the buffet and special pancake bar for free! Enjoy delectable dishes from our ever-changing brunch menu such as the Santa Monica Egg White Omelette with shaved turkey breast and tomato-avocado salsa or Chocolate Chip Waffle with cocoa whipped cream. Looking for lunch? Selections of handcrafted sandwiches, salads and a variety of tacos are too. We’ve got plenty of brunch cocktails and mocktails, a special menu for kids, and plenty of sweets, treats and coffees from our Market. Soak up the sun no matter the season with our glass ceiling in the main dining room. Enjoy Wildfire weekend brunch every Saturday and Sunday from 11:15 AM to 2:00 PM in addition to our regular lunch menu (excluding select holidays). Enjoy brunch selections like our Garden Vegetable Quiche, Upside-Down Apple French Toast and Oven Roasted Crab Cakes Benedict. 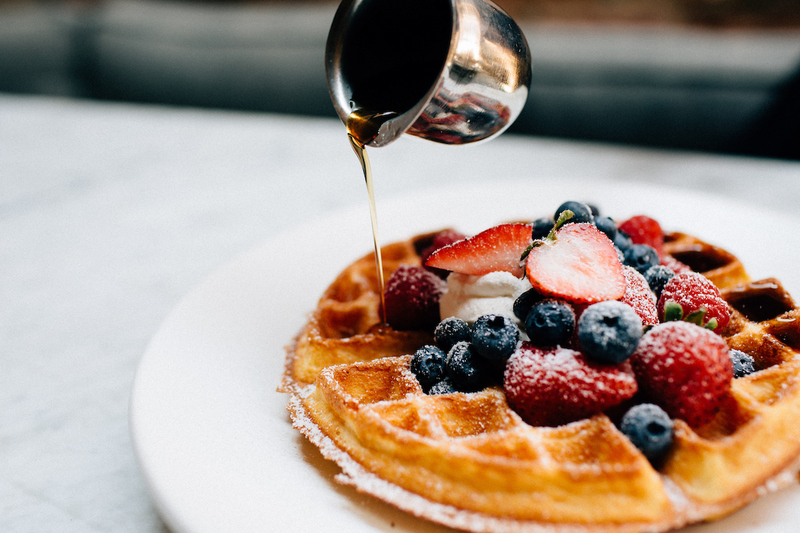 Every Saturday and Sunday, guests can enjoy brunch staples such as Strawberry Waffles with whipped cream, Poached Eggs Oscar with asparagus and hollandaise, and Chicken & Waffles, as well as signature brunch items including Colossal Lump Crab Cake Benedict and Bananas Foster French Toast. Raise a glass to the weekend with half-priced brunch cocktails, signature cocktails, wines by the glass, and draft beers. 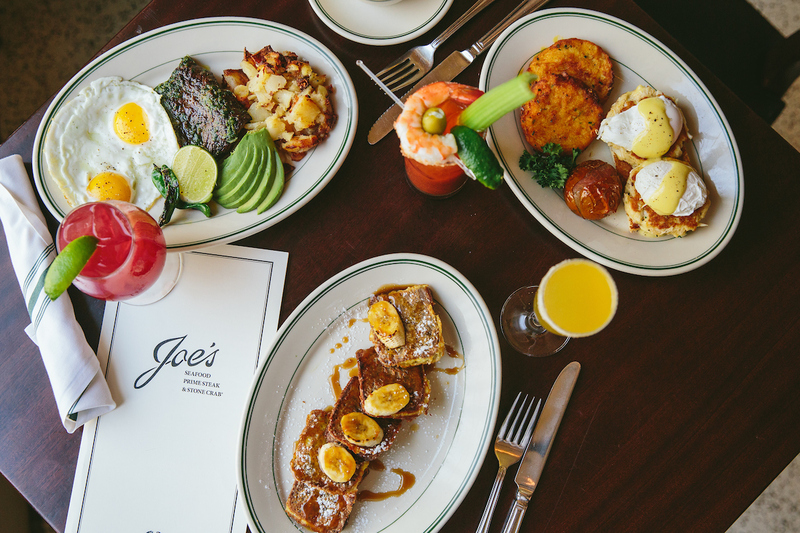 Make a reservation at Joe’s Seafood D.C.
French favorites like our Blueberry French Toast, Waffles with Nutella, Quiche Lorraine, and Ham and Cheese Crêpe make for an ideal weekend brunch spread. Sip on a variety of champagne cocktails and our signature Gabi Bloody Mary with Grey Goose vodka, or warm up with a generous serving of coffee. Looking for lunch? Our classic entrees are sure to satisfy, with options like the Truffle Brie Burger and Macaroni Gratin, classic Steak Frites and the Croque Monsieur. Rise & Shine! Our doors open early on weekends to debut an ALL-NEW French Omelette Menu, plus our magnifique Weekend Brunch, where we offer a la carte breakfast specialties like the Waffles Bananas Foster, Creme Brûlée French Toast, Salmon & Hash Brown Benedict, and more. Guests can mix and match sparkling cocktails for the table or order up the famous Gabi Bloody Mary. Burgers, sandwiches and our signature Prime Steak Frites are also available, for those who would rather have lunch. Enjoy our weekend brunch buffet featuring Roasted Corn & Poblano Egg Enchiladas, Cinnamon Roll Bread Pudding, Italian Sausage Hash, Yogurt Parfaits with granola and fresh berries and more – unlimited for $20.95 per guest (plus tax, gratuity not included). $5 mimosas and bloody marys keep the good times going. Bringing the whole family? Kids 10 & under can enjoy the buffet (and special pancake bar!) for free. Still not convinced? Here are five reasons why you should be brunching at Stella Barra this weekend. Enjoy delectable dishes from our ever-changing brunch menu such as the Santa Monica Egg White Omelette with shaved turkey breast and tomato-avocado salsa or Our Very Nice Caramelized French Toast. Looking for lunch? Selections of handcrafted sandwiches, salads and a variety of tacos are available as well. We’ve got plenty of brunch cocktails and mocktails, a special menu for kids, and plenty of sweets, treats and coffees from our Market. Soak up the sun no matter the season with our California vibes and beach house style. Join us for weekend brunch every Saturday and Sunday from 11:00 AM to 3:00 PM, except on select holidays. Enjoy brunch selections like Oven Roasted Crab Cakes Benedict, Cinnamon Toast Crunch French Toast or Turkey Sausage Breakfast Burrito. Our regular lunch menu is also available. Brunch with the best view on the Strip and enjoy classic French dishes with a modern twist from Chef Joho’s elegant brunch menu. Guest favorites include Lobster Benedict with creamed spinach, asparagus, hollandaise sauce and the decadent Luxury French Toast with foie gras, calvados, caramel apple. A three-course tasting menu is also available, plus lunch items can be ordered a la carte. Brunch with us beneath the Eiffel Tower in Las Vegas! Kickstart your day with delicious plates like our Fruit & Berry Bouquet with vanilla, mint and yogurt dipping sauces plus Corned Beef Hash & Eggs. By the end of the meal, you’ll be ready to take on another round of Sin City. We also serve our breakfast menu 7:00 AM – 11:00 AM. Get your weekend rolling the right way with brunch at Stella Barra. Available 11:00 AM – 3:00 PM, our Almond Crunch Granola and satisfyingly warm Cinnamon Roll Bread Pudding are sweet and filling starters. 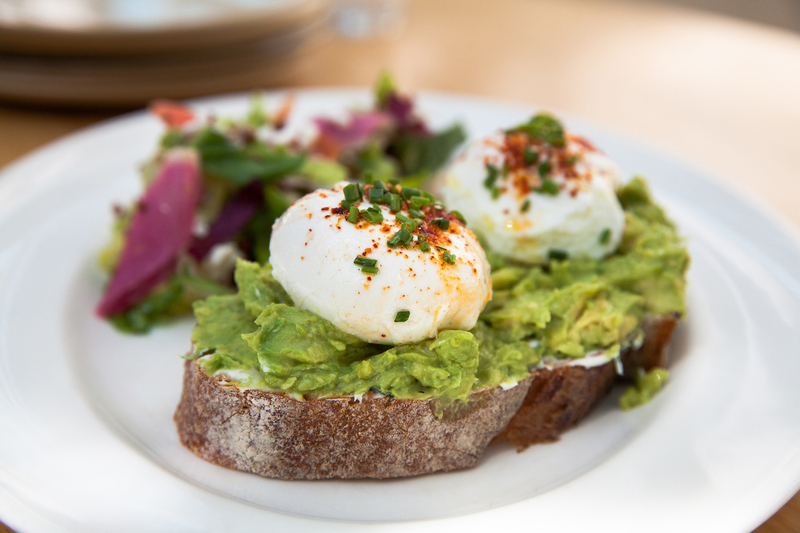 Follow those up with a choice of four breakfast sandwiches, as well as the always popular Avocado Toast with mascarpone cheese and weekly Breakfast Pizza specials. Stella Barra – Santa Monica’s new brunch menu includes a variety of Egg Sandwiches, Caramelized Brioche French Toast and Seasonal Breakfast Pizza. Our regular dinner menu will also be served with favorites like the Butternut Squash Pizza and Organic Pork Meatballs. Enjoy Wildfire weekend brunch every Saturday and Sunday from 11:00 AM to 3:00 PM, except on select holidays. Enjoy some brunch selections, like Oven Roasted Crab Cakes Benedict or Lemon Ricotta Pancakes, or stick with our signature favorites like Steak & Eggs. Wildfire proudly serves farm fresh eggs from Larry Schultz Organic Farm in Owatonna, Minnesota. Our regular lunch menu is also available. Need help figuring out what to order? Here are a few of our favorite brunch items you should try.